Bradley Thomas (Vince Vaughn), never ‘Brad’, is a shuffling great meat carcass of a man, shorn of hair, and with a huge cross tattooed on the back of his head. Juxtaposing this threatening exterior is the way he reacts when he loses his job at the garage; he takes it in a cool, calm, collected manner. Only when he snaps the key in the padlock whilst clearing out his locker, taking a deep breath, do you get the feeling that this could be a man with something bubbling beneath the musclebound surface. He returns home to find his wife Lauren (Jennifer Carpenter – Dexter) sat in the drive way, about to the be the bearer of bad news. But once again, he asks her to exit the car, before systematically beating dents into it with his fists, and then going into the house to have a pleasant conversation with her. You see, Bradley knows what he is capable of, and he may not have had the same restraint in a past that we’re never privy to, but he has a system where he can work out the anger before it manifests in violence. “I’d rather make baby booties from pink yarn than hit people for no reason”. Unfortunately, when he turns to crime boss Gil (Marc Blucas – Buffy the Vampire Slayer) as a way of sustaining a living, it sends Bradley down a path upon which he has no choice but to brawl, or risk the ones he loves. S. Craig Zahler made people sit up and take notice with his gut-punch western horror, Bone Tomahawk, a tick-tick-tick-boom of a movie, that was amongst the very best films for those who could stomach its brilliance. With Brawl in Cell Block 99, he marks himself out as arguably one of the most exciting directors of his kind since Quentin Tarantino. As Zahler did with Tomahawk, character is so integral as to why Brawl works. It’s all good and well fights being choreographed impressively, or the sound design, which is not for the faint hearted, being bone-crunching brilliant, if you don’t care about who’s getting punched in the face. Thankfully he has coaxed a performance from Vince Vaughn that is the best the actor has delivered since Swingers. Utilising his sizeable frame against which to offset a gentle giant persona, you are always aware that he is fighting internal as well as external demons. Vaughn is so likeably blue-collar, constantly fighting the urge to do what’s right in the face of so many physical and emotional obstacles. Having him retain a comedic thread also makes for some dark one-liners, such as “I’m south of OK, North of Cancer”. Much like the man calling the shots behind the camera, hopefully this a sign of things to come. 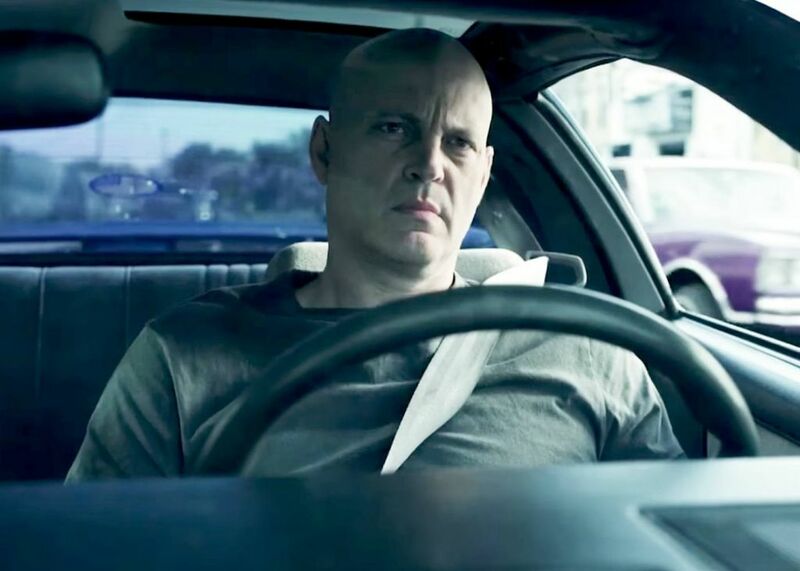 Stylistically, Brawl in Cell Block 99 does feel like early Tarantino; with on-point in car songs that result in a killer 70s soundtrack, the constant use of tracking shots as the lens hovers behind Vaughn’s frame, and some excellent monologues. However, this is Zahler’s beast, and much like Tomahawk, it builds to something truly unforgettable, that’s punctuated with so many “ooff” and “ahhh” inducing moments that you won’t use most of your seat for the final third. If his Western was indelibly bleak, then this is R-rated fun for the drive-in audience. Emerging from Vaughn’s huge shadow, it’s great to see Jennifer Carpenter getting some meat to chew on. So terrific in The Exorcism of Emily Rose, and Dexter, she is an underutilised actor, and whilst she takes a back seat for a large chunk of this one-man-show, her performance is as integral as her co-stars in making you care about the outcome of Brawl. An ultra cool, uber-violent exercise in filmmaking, right from off the top shelf of the rental store. 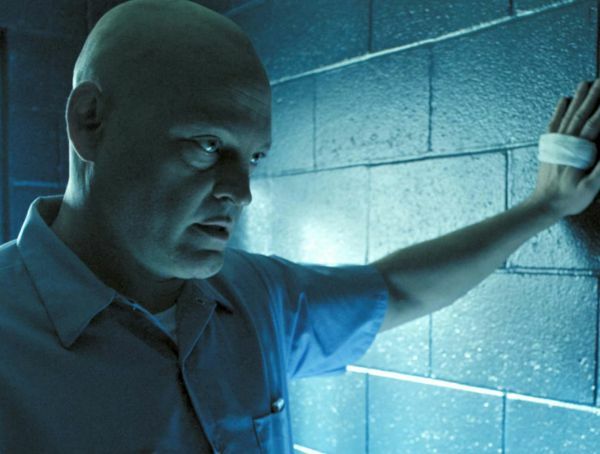 Brawl in Cell Block 99 is a midnight matinee cult classic in the making, all held together by a towering Vince Vaughn performance, and a director making it two out of two.